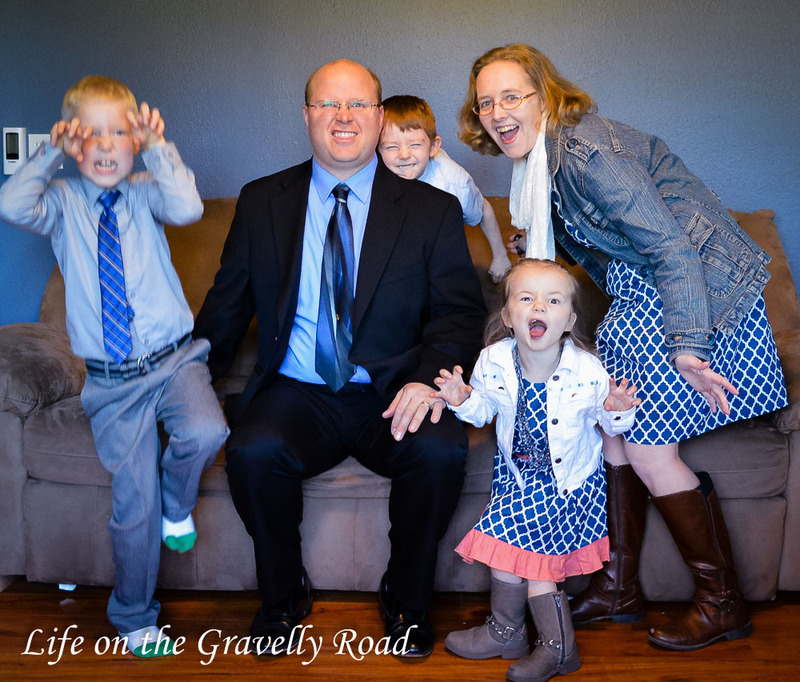 Happy Easter from our family on the gravelly road to yours. He is risen. He is risen Indeed! As tradition, we took our family photo before going to Easter Sunday church service this morning. 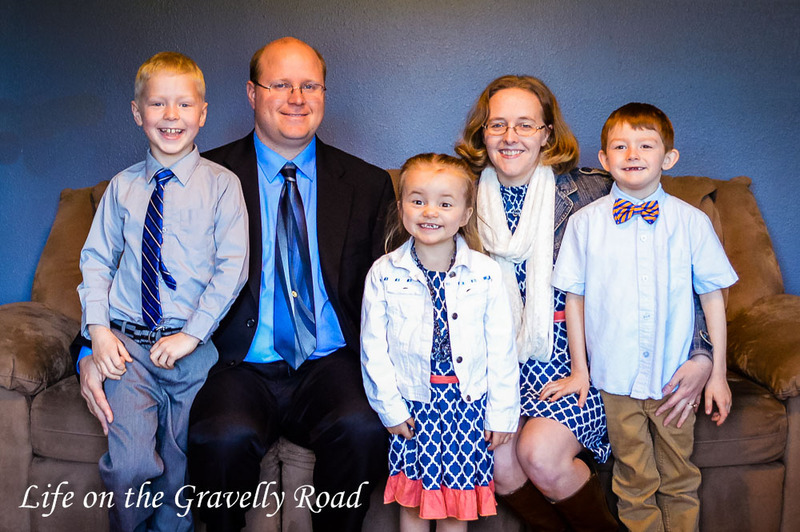 And while the tradition has little to do with the reason we celebrate Easter or the promises that we proclaim while remembering the empty tomb, its a tradition that slows us down a moment as a family amidst the candy and baskets and busy weekend and hurry to get out the door for church. I'm thankful for each smile, giggle, closed eyes, and goofy face as I comb through our pictures this afternoon. We have reason to smile because of that first Easter Sunday, hope for tomorrow, victory over the grave. May you and yours have a blessed Easter weekend. And while this is just a peak into our day, I'm hoping to share more of our family fun from this weekend but I don't want to miss what's happening right now on the gravelly road.